Most of us will be visiting a retail park, high street or shopping centre to buy Christmas presents for our friends and family in the next couple of weeks. You may be surprised just how much people spend on such presents but there is no doubt that, on average, it is a sizeable sum. So, does your car insurance cover the items whilst they are left in the car? 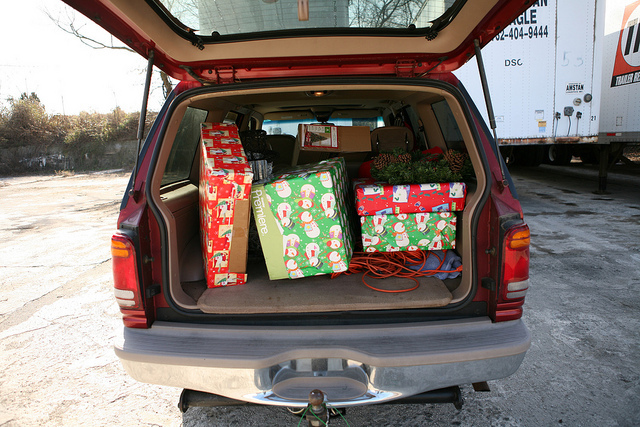 Christmas presents left on display in a car may not be covered if stolen. Well, you should check your car insurance policy or pick up the telephone to the insurance company to find out if Christmas gifts are covered. Do not just assume that you are covered because some insurance companies do not provide insurance cover for such things and those that do may well impose certain restrictions. For instance, the amount that they may pay out may only be a nominal sum of say £100 so that wouldn’t cover the cost of replacing many smartphones. Also, you may not be insured if the items are left on display in the car such as on the back seat so it would be better to lock expensive items in the boot of the car out of sight. If you are unfortunate to have your car broken into and your insurer does happen to provide some level of cover for stolen items you will have to prove that you bought the items and how much you paid for them. Therefore, it would be a sensible idea not to leave the till receipts in the shopping bags with your purchases. Instead you could place them in your purse or wallet. If your car insurance does not provide some cover for Christmas gifts being stolen from your vehicle then, if you have home insurance, you may find that that policy provides some cover if you have personal belongings cover for items that you own but that are stolen away from the home. So, in summary, find out if your car insurance policy provides some cover should your Christmas gifts be stolen from inside the car but as a deterrent, place the items in your locked boot out of sight. 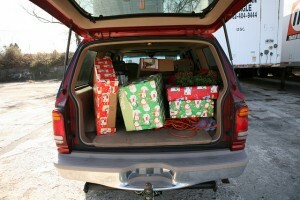 This entry was posted in News and tagged Car Insurance Policy, Chistmas Gifts Left In Car. Bookmark the permalink.